SWIMMING FOR A CAUSE… This year’s MS 24 Hour Mega Swim is just around the corner and it’s not too late to make a donation or sign up to take part like 2018 participant, Cindy Dunn. Photo: Supplied. 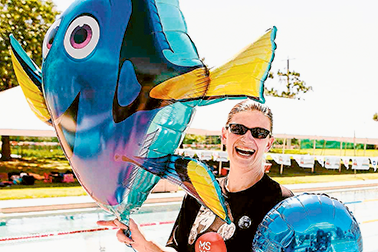 MULTIPLE Sclerosis (MS) is a debilitating disease that affects sufferers differently and for the 10th year, locals will be taking to the pool to take on the mammoth challenge of the MS 24 Hour Mega Swim. 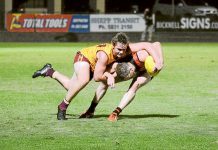 Over the years over 800 local participants have helped to raise $150,000 for MS Australia and it is hoped that this year’s participants can help to add $20,000 to the total kitty. MS 24 Hour Mega Swim Shepparton community host, Damien Stevens-Todd said, “Nine swims down and over $150,000 raised in Shepparton alone, we look forward to celebrating 10 years in 2019. “We’ll aim for 100 people in the pool and $20,000 funds to be raised! The 2019 MS 24 Hour Mega Swim will run on Saturday, February 16 and Sunday 17. To donate or sign up to this event, and for more information go to [email protected] or call 1300 733 690.